Located on the historic Court Square • Pocahontas, Arkansas • U.S.A. The restored Pocahontas train depot as it appears now. It houses the local Visitor Information Center and a small museum of local transportation and commerce. 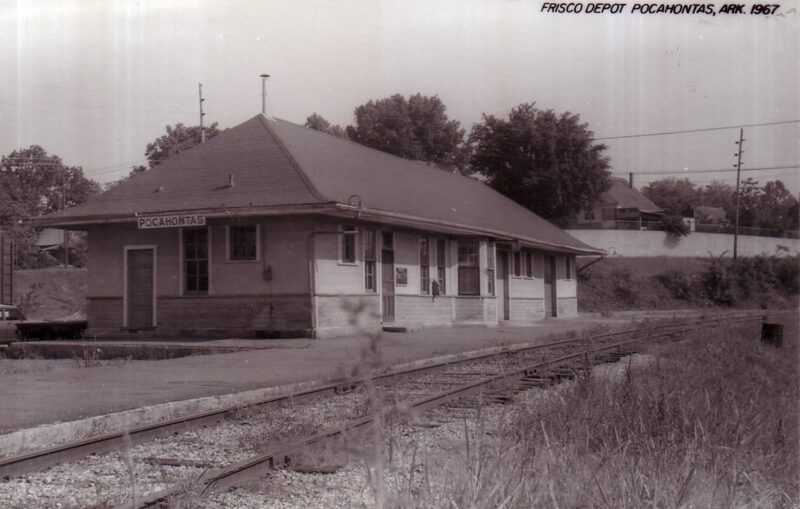 The depot as it appeared in 1967, a few years before train service to Pocahontas ended. Circa 1938, this image shows the depot and staff. 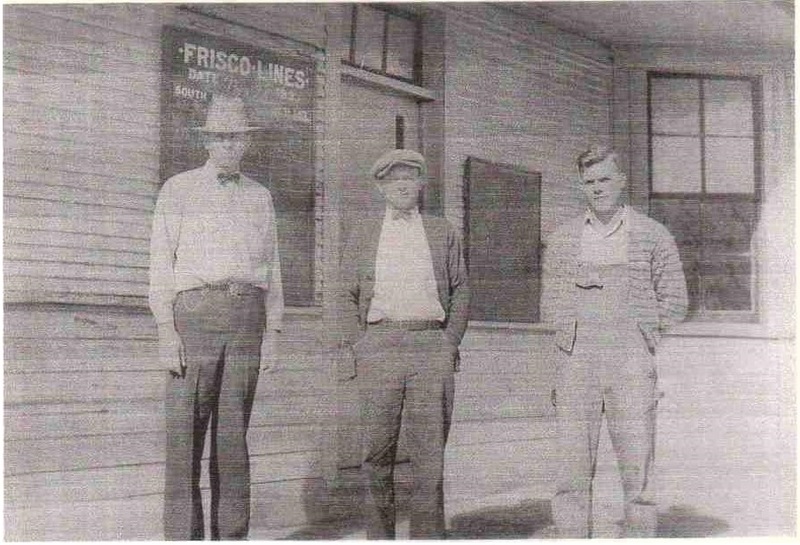 From left to right are station agent Oliver Kerfoot, Sr., chief clerk Mr. Handley, and an unknown helper. Circa 1938 view of the depot. On the platform, in the background, are two freight carts. The main line tracks are on the right. 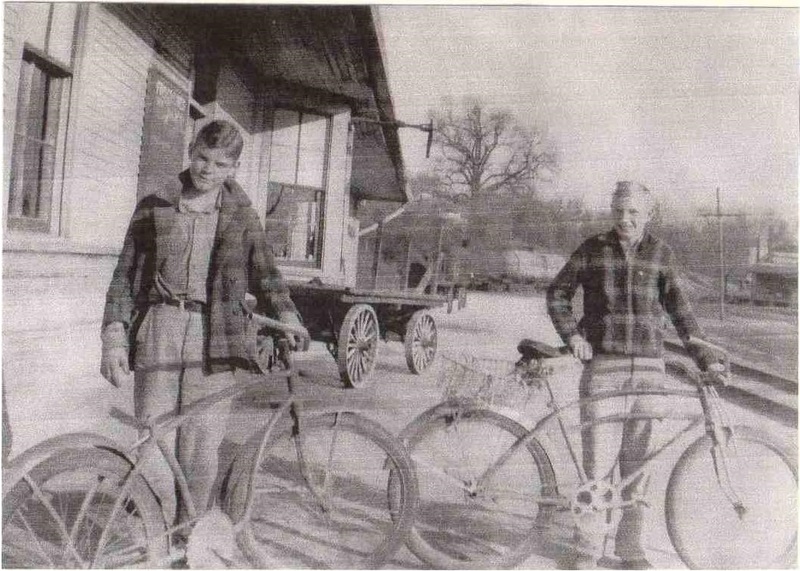 The young men are Bill Holobaugh, left, and Oliver Kerfoot, Jr., right. Monday, Tuesday, Thursday, and Friday, 10 a.m. – 4 p.m.
and open the second Saturday of each month 10 a.m. – 2 p.m.
We are looking for a few good volunteers! !